The Southern African Macadamia Growers’ Association (SAMAC) has updated its crop forecast after a round of data collection involving approximately 90% of the handlers in the industry. The impact of the drought, hail storms and high temperatures has been more severe than initially anticipated. The new updated forecast for the 2016 season is 36 500 tonnes of nut-in-shell (1.5% kernel moisture). This is approximately 21% lower than the 2015 crop of 46 000 tonnes NIS. However, when considering the growth of the industry in terms of new plantings each year, a projected crop for 2016 should have been 50 500 t, which means the 2016 crop is expected to be 28% smaller than the long term projections. Graeme Taylor, chairman of the SAMAC Handlers Forum, says that the overall crackout of macadamia nuts this season has been significantly affected by the drought. “Nuts are much smaller this season with thicker shells.” There is a concern that the 2017 crop might also be affected if the drought persists. “Excessive heat during flowering could play a large role in next season’s volumes as was proven in the current season’s crop. This, in combination with rain before and after flowering will play a big role in next season’s crop volumes”, Taylor said. Mpumalanga remains the largest producer of macadamias in South Africa, with 56% of the projected crop forecast coming from this province. Limpopo and KwaZulu-Natal are estimated to produce 28% and 15% respectively, with approximately 1% coming from other regions. A recent data collection exercise on tree sales from nurseries yielded interesting industry information and enabled SAMAC to update its census information. The rate at which the industry is growing is increasing. In 2014, it was estimated that the macadamia industry in Southern Africa grew by at least 1500 ha per annum. The new data suggests that the industry is currently growing by more than 2 000 ha per annum. 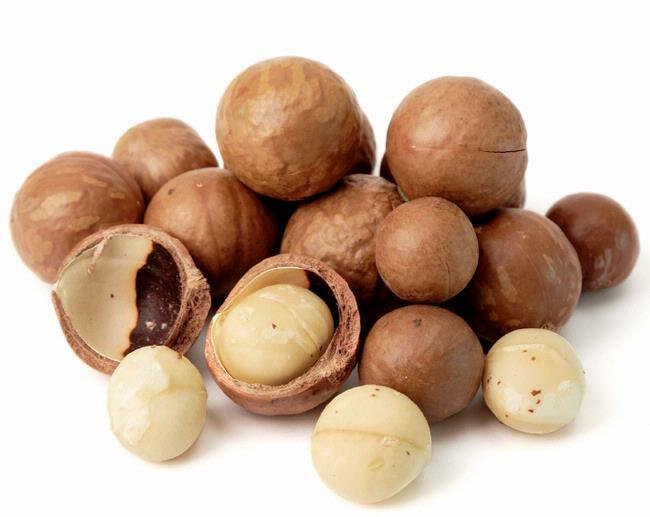 The South African macadamia industry is now estimated to be approximately 25 000 ha in size. In 2015 72% of all nursery trees sold were destined for the Mpumalanga province. The growth in new plantings in KwaZulu-Natal is on the increase, especially in the North Coast region. The ‘Beaumont’ cultivar remains the most popular cultivar, comprising 72% of all trees sold in 2015, followed by ‘A4’ (11%), ‘816’ (6%) 788 (4%) and others (7%). The demand for ‘A4’ has increased significantly during the past few years due to its apparent high yield and kernel recovery properties.